"Dear Jackie, We are so sorry for your loss. Kaitlin was a very beautiful and courageous young lady who never let her illness dampen her..."
"We are so very saddened by the loss of your beautiful daughter, Katie. Our prayers are with you at this most difficult time. May our Heavenly..."
"Our thoughts and prayers are with you and your family during this hard time. 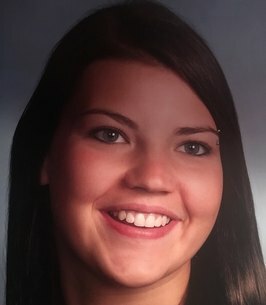 Kate is at peace and without pain but will be missed by many...."
Kaitlin Elizabeth Hartsock, a resident of Warminster, formerly of Glenside, passed away on Tuesday, November 13, 2018 at the Abington Memorial Hospital following a courageous battle against diabetes and related illnesses. She was 25. Born in Abington, Kaitlin was the daughter of Jacqueline Bongart and Harold Hartsock. Kaitlin was a 2011 graduate of William Tennent High School. Kaitlin enjoyed joking and pulling pranks on family and friends and listening to her music. Kate also liked going down to the family shore house with family and celebrating her birthday every Memorial Day weekend. In addition to her parents, Kaitlin is survived by her maternal grandmother Margaret Bongart, a daughter Riley Keough, two brothers, Tommy and Bryan Hartsock, a sister Samantha Hartsock, two nieces, Lily Gombos and Chelsey Hartsock, several aunts, uncles and cousins and her dog Rosie. Kaitlin’s memorial service celebrating her life will be held 11:00 am Wednesday, November 21, 2018 at the Shelly Funeral Home, 1460 Eaton Road, Warrington where the family will receive friends after 10:00 am until the time of service. If desired, memorial contributions may be made the fund for Riley Keough c/o Freedom Credit Union, Center Point Office Center, 626 Jacksonville Road, Suite 250, Warminster, PA 18974 Please include Riley's name (Riley L. Keough) and member # 0000999127. Donations may be made at any Freedom Credit Union Location. (ABA routing # 236084751. We encourage you to share any memorable photos or stories about Kaitlin . All tributes placed on and purchased through this memorial website will remain on in perpetuity for future generations. I'm so very sorry for your loss. But may the words of Jesus Christ be on your hearts, as you all read them in John 5:28,29 to where we find him here giving us a preview of what he will do in the future and that is he will resurrect your Katlin back to good health as Isaiah 33:24 says: And no resident will say I am sick. But also which is another Guarrantee is found in the Bible at Psalm 37:29 which says:The righteous will possess the earth and they will live forever on it. So Katlin will be able to live an endless life and so many of you will be able to welcome her back into your arms again and of course if your wanting to know more of the many promises of what the Bible really teaches then go to JW.org and find out what other promises that our Great God, Jehovah and His Son, Jesus Christ have in store for us all. Dear Jackie, We are so sorry for your loss. Kaitlin was a very beautiful and courageous young lady who never let her illness dampen her spirit. She will be missed. We are so very saddened by the loss of your beautiful daughter, Katie. Our prayers are with you at this most difficult time. May our Heavenly Father watch over all of you and help bring you peace. All our love ❤️ to you. Our thoughts and prayers are with you and your family during this hard time. Kate is at peace and without pain but will be missed by many. Please accept my deepest sympathy for your loss. Please know that sickness,death and the pain they cause, were never Jehovah God's purpose for us. Until the time when He will undo all our pain and suffering, He gave His dear son Jesus and many Bible promises. Such as Isaiah 33:24, which promises that sickness will be gone forever! Acts 24:15 promises that our loved ones who have passed away,like your dear Kaitlin, will live again! What a wonderful time that will be! In time if you would like to know more about God's promises please visit jw.org. Again you have my sympathy.